Approach Tehran with sticks, not carrots. Consider this scenario: The Saudis have gone nuclear. So have the Egyptians. Both countries had been signatories to the Nuclear Non-Proliferation Treaty, but that agreement is now dissolved. Riyadh and Cairo acquired their weapons from Pakistan, a Sunni ally, in response to the nuclear threat from Shia Iran. Meanwhile, Iraq continues to fester, the Israeli-Palestinian conflict is far from settled, and Iranian proxies remain firmly entrenched within Lebanon's combustible sectarian mix—a mix that pits Sunni against Shia and just so happens to exist on Israel’s northern border. In short, all the key players in the Middle East—Sunni, Shia, Israeli—now have nuclear weapons at a moment when the simmering and, in some cases, quite open conflicts between the region’s states, sects, and ethnicities are almost too numerous to count. If that situation sounds terrifying, it should. And it may well come to pass if Iran is allowed to go nuclear. This past December, Saudi Arabia’s foreign minister, Saud Al Faisal, declared that Riyadh, in conjunction with surrounding Gulf states, might seek to develop nuclear power. He insisted the program would be used only for peaceful purposes, but, to many, Faisal's words sounded like a threat: Since Iran is pursuing nuclear weapons, maybe we will, too. If that happens, Egypt probably won’t be far behind. Senior Egyptian officials have told me that, if we cannot stop Iran from going nuclear, it will spell the end of the nuclear nonproliferation regime. Needless to say, a nuclear arms race in the Middle East would greatly increase the chances of war—between Sunnis and Shia or between Israelis and Muslims—through mistake or miscalculation. For this reason alone, we must prevent Iran from acquiring nuclear weapons. The question is: How? That’s the good news. Now the other reality: The Iranians continue to press ahead with their nuclear program. The International Atomic Energy Agency reports that Tehran, some technical difficulties notwithstanding, has already produced at least 1,000 centrifuges for enriching uranium. It is now reasonable to assume that Iran will, before the end of this year, be able to reach its aim of manufacturing 3,000 centrifuges. And, once Tehran has that many centrifuges operating efficiently, it will only need about nine months to generate sufficient fissile material for one nuclear bomb. In other words, the Iranians may be feeling pressure, but they have yet to change their behavior. The diplomatic track is slowly having an impact on Iran’s leadership, but at a pace that continues to be outstripped by the country’s nuclear advances. The key, then, is to find a way to alter the calculus—and, therefore, the behavior of Iran’s rulers—more quickly. Why have sticks been more effective than carrots? Because virtually all members of the Iranian elite, including moderate ones, appreciate the value of having nuclear weapons—they are a symbol of national power, they can be useful for deterring the United States, and they are seen as promoting Iranian dominance throughout the Middle East. No combination of inducements can match the value of having nuclear weapons. But the value of nuclear weapons has to be weighed against the potential cost. If the cost is international isolation and economic deprivation, the picture changes for a significant part of the Iranian elite. 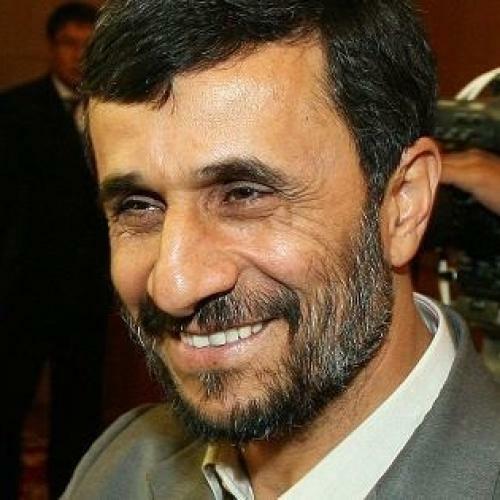 That elite is basically divided between the Revolutionary Guard confrontationalists represented by Ahmadinejad, the conservative but pragmatic mullahs represented by Rafsanjani, and the reformers represented by former President Mohammed Khatami. The Rafsanjani and Khatami contingents are clearly susceptible to negative external pressure; and they, in turn, can curb the influence of Ahmadinejad and his followers. Indeed, it seems they already have; witness the recent release of the British sailors. What’s more, with an economy characterized by significant unemployment, high inflation, a plummeting stock market, declining oil production, and a diminishing of the revenue so necessary for preserving social peace, and with Ahmadinejad's confrontational approach on the Iranian nuclear program generating internal criticism, it is probably no coincidence that Ali Larijani—Iran’s nuclear negotiator, who also happens to be close to the supreme leader—is these days evincing more hints of willingness to strike compromises. All of which is to say that a deal may be possible, but it won’t come from chasing after the Iranians. They must know that they will pay a high price for pursuing nuclear weapons (while also seeing that the door remains open to a deal that allows for civil nuclear power and includes economic sweeteners as well as mutual security guarantees). This argues for an approach focused on squeezing Iran economically—a strategy in which the Europeans and Japanese will have to assume the lead. Both are taking some steps now, but they are capable of doing much more to cut Iran off from credits, outside investment, banks, and commerce. So long as the Europeans are providing approximately $18 billion in loan guarantees for companies doing business in Iran, the Iranians won’t be convinced they are on the brink of seeing their economic lifeline severed. Here, the Bush administration should be more aggressively exploiting the leverage of the Saudis, who, after all, see Iranian nukes as a profound threat: We should be encouraging Riyadh to use its financial clout with the Europeans, the Japanese, and even the Chinese to choke off Iranian access to the international economic system. Most world leaders, including our allies, are desperate to prevent the United States from attacking Iran. President Bush should make it clear to them that they have the power to forestall military action—by exerting economic pressure that further opens fissures in Iran’s elite, which will in turn raise the likelihood of Ahmadinejad being forced to back down. We must convince our allies to move comprehensively, not incrementally, to ratchet up the economic pressure on Iran—and soon. The choice is theirs, but they are running out of time to make it. Dennis Ross is counselor and Ziegler distinguished fellow at the Washington Institute for Near East Policy and author of the forthcoming Statecraft: And How To Restore America's Standing In The World. This article appeared in the April 23, 2007, issue of the magazine. Ambassador Dennis Ross is counselor and William Davidson Distinguished Fellow at The Washington Institute for Near East Policy. Prior to returning to the Institute in 2011, he served two years as special assistant to President Barack Obama and National Security Council senior director for the Central Region, and a year as special advisor to Secretary of State Hillary Clinton.